The Moxie Blog – The Moxie Game Console? Ok, not quite, but Krister Lagerström recently did something cool..
That's NetHack ported to RTEMS running on the moxie based Marin SoC. It runs on QEMU, via "qemu-system-moxie --nographic --machine marin --kernel nethack.elf", or on FPGA hardware. I tested with a Nexys 3 Spartan-6 board by simply converting it to an screcord file and sending it via the serial port to the hardware's boot loader. Krister implemented the Marin BSP for RTEMS, then ported ncurses and nethack to moxie-rtems. 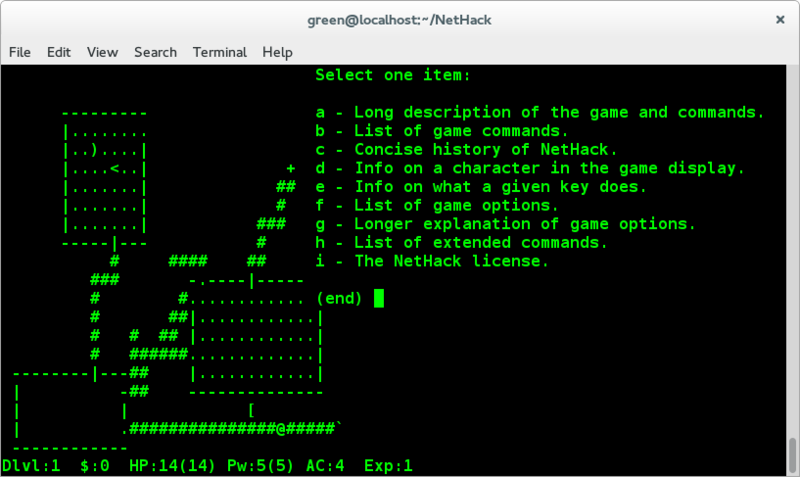 Like many programs with a UNIX heritage, NetHack reads data files from a local file system. RTEMS solves that by providing a simple in-memory filesystem you can initialize with a tar file and link to your ELF executable. For my part, I had to fix a couple of QEMU bugs and point the moxie-cores tools build scripts to staging git repos until the bugs are fixed upstream. As usual, everything should be here: http://github.com/atgreen/moxie-cores. Thank you, Krister, and I'm looking forward to the other cool things you have planned!